Millenia ago there was nothing but space. Empty darkness, with no light whatsoever. For centuries everything simply remained that way, in complete nothingness. And then, the Magi appeared. They introduced life to the world in the form of the Rukh. These small abnormalities were originally lifeforms, created by the Magi themselves. In the world there already existed the black rukh, the symbols of the darkness which reigned over all; however the Magi introduced different forms of the creatures. 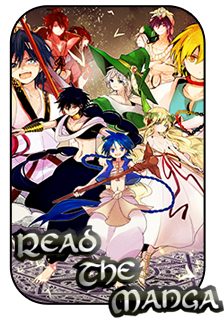 They were white in color, and were originally created with the purpose of battling off the black rukh; however even the Magi were surprised by the events to proceed. The rukh mixed with one another, slowly forming a singularity within space and time. They took a spherical shape, and over several years they would begin to meld together to the point that they were no longer distinguishable. It was at that moment where "Magic" was introduced to the universe. The Magi commanded the hybrid rukh to create the four elements: earth, water, air, fire. These elements made up the foundations and groundwork of the world as we know it. Vast oceans and continents came from literally nothing, all due to a single species, who's own origin is still masked in mystery to this date. Then the rukh themselves created the first men and women. In time they would learn how to move, perform basic chores, and eventually they even formed their own languages, proving to be intelligent beings. As the species evolved, so did their desire to learn more about the world. Civilizations were built from the ground up, and several key figures took roles as conquerors and rulers. At first peace reigned over all the continents, but eventually it shattered to practically nothing. Disarray and war sparked throughout the world. Armies marched on one another's soil, wishing to remain dominant over all. But still, there was something wrong. Once the act of "Death" was discovered, it was completely thrown away at the same time. The rukh refused to let the men they created tear each other limb from limb; and so they brought them back to life, over and over again. Over the centuries the rukh would weaken to the point where they could no longer sustain these resurrections for so long. Lifeforms actually started to die off, and several countries started to conquer over others. It was at this time where the true origins of the world faded away, instead being replaced by tales of gods and emperors. The Magi disappeared along with these tales, becoming nothing more than simple rumors. The rukh still hang about, but only near magicians and in much weaker states. They simply flutter around, attracted now to more influential beings to whom they can lend their power. Currently the several countries of the world are mostly at peace. Balbadd presides as the one true democratic nation, handing off most of its power to the people. The great Empire of Zou continues to conquer more and more land, as did its ancestors. Those of the Imuchakk Tribe reside in the North, ignorant of most of the goings-on and living only to survive in their own world. The Magical Country of Magnostadt welcomes every Magician who enters its walls, believing the race of Wizards to be superior to all. And finally the armies of Reim and Heliohapt remain at a stand-still. Currently they share the Western Provinces, however the Pharaoh Ramses Massri The Seventh is on the breaking point.